AstraZeneca said Friday that Handa Pharmaceuticals of Fremont, California, had accepted that AstraZeneca had valid patents for Seroquel XR for the treatment of depression. 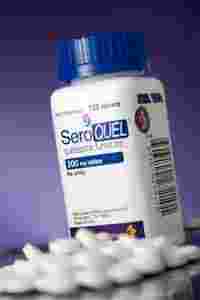 Seroquel is the third-largest selling drug for the London-based pharmaceutical company. Handa announced in December that it had won preliminary approval to distribute its generic product in the United States. As part of the settlement, AstraZeneca says it has granted Handa a license to enter the US market with a generic version of Seroquel by 1 November 2016. AstraZeneca holds several patents on the drug which expire between March 2012 and November 2017.